WHERE THE SKY IS NO LONGER THE LIMIT. 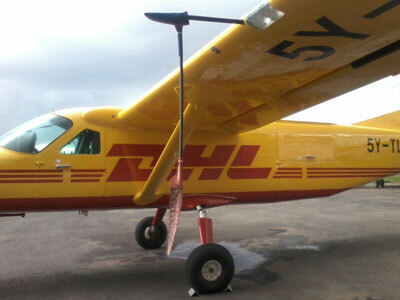 We boast of a wide number of state of the art and quality airline fleet. With years of experince in the industry, our services are top notch. Get updated with our company's latest news, events and happenings..
Airworks Kenya Limited was incorporated in 1999 when it started operations as an Aircraft Maintenance organisation servicing Aircraft registered in Kenya and South Africa, in the year 2000 the company ventured into aircraft operations and over the years has seen steady growth ever since as an Aircraft operator and Aircraft maintenance provider. Previously having worked with UNWFP, today we are approved as a supplier of Air transport by global organizations such as the International Committee of the Red Cross (ICRC) and the Medicins Sans Frontieres (MSF). 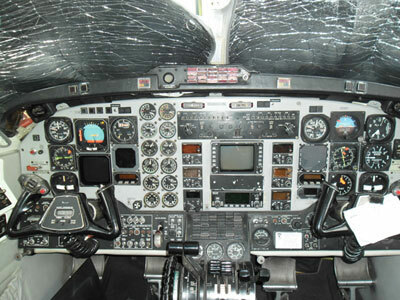 We boast of 17+ years in the aviation industry. Since our inception in 1999 as an Aircraft Maintenance organisation servicing, we have expanded to delivering more services and value to our customers whilst remaining true to our ethos..
We are certified and accredited by different aviation bodies across different Africa Countries. We operate under two main approvals: the Air Operator’s Certificate (AOC) and the Approved Maintenance Organization (AMO) licence. 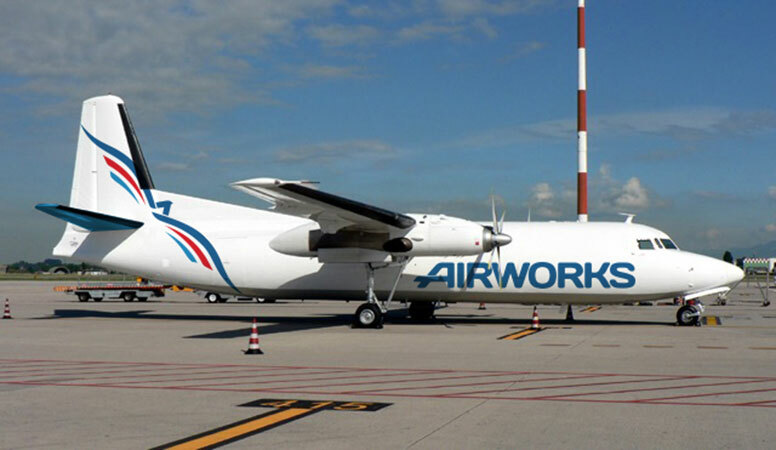 Today, Airworks offers different tailored solutions from Humanitarian contracts to ACMI lease and many more. We boast of having house hold names such as United Nations and DHL under our belt. Our team comprises of professional, qualified, and experienced staff committed to providing an unparalleled aviation service. We invest heavily in safety measures, impeccable maintenance and training our employees to a high level of expertise. Our top management personnel are all senior, seasoned professionals and have significant experience in aviation management. 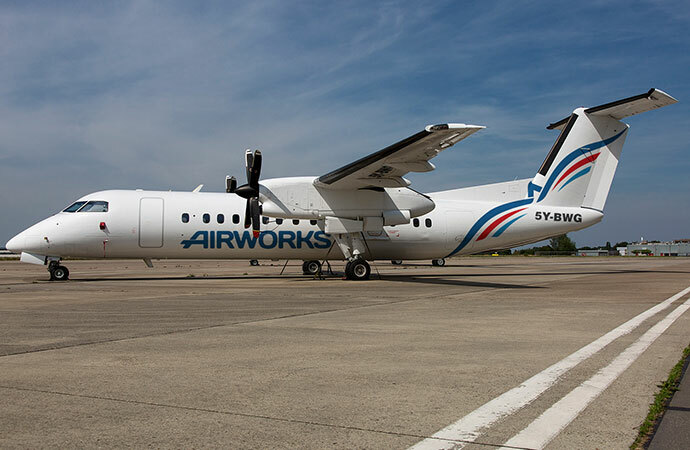 Bombardier Dash 8 (DHC-8) is a twin-engine, medium range, turboprop airliner with a seating capacity of 37. The Caravan is the largest single-engine airplane ever produced by Cessna with two PT6D-114A engines driving a single propeller . The Q300 aircraft is very quiet with operational noise levels of 79.5EPNdb (equivalent perceived noise decibel) for take-off, 87EPNdb sideline and 93.3EPNdb for approach. The Fokker 50 Freighter has main door dimension of 234 x 177 (LxH, cm) and main deck dimensions of 1,596x203x176 (LxH, cm). We provide Aircraft, Crew, Maintenance and Insurance leasing agreements to other airlines. Our experience in cargo chartering is what sets us apart from many of our competitors. 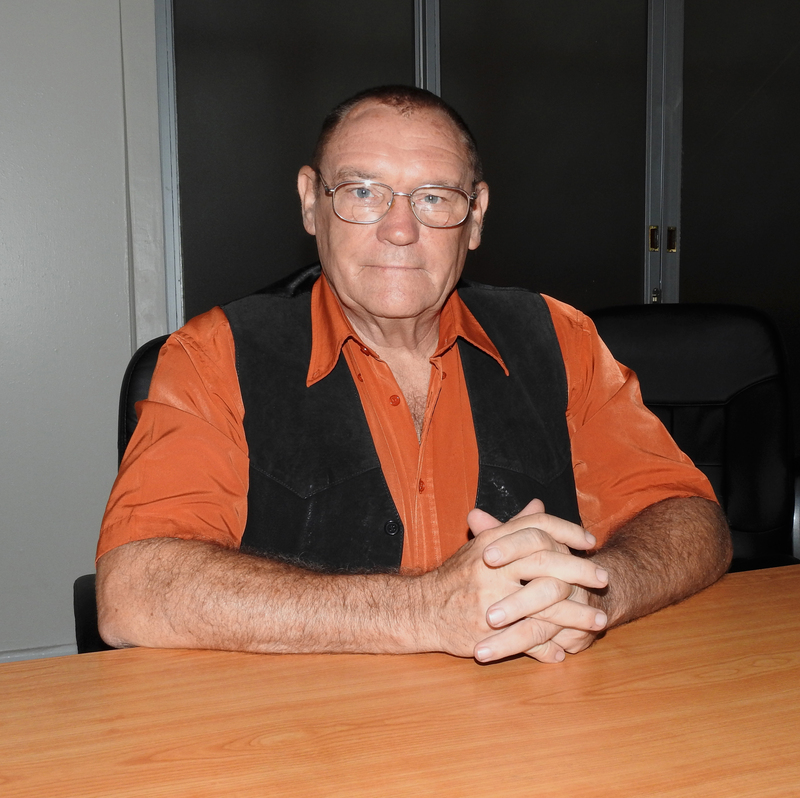 We provide to a variety of clients, including senior business executives and celebrities. 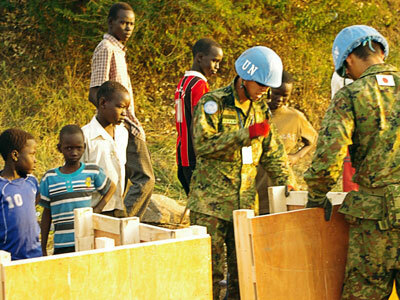 We also offer Humanitarian and Relief services in Kenya and the greater East and Central Africa region. We do delivery of medical, rescue and evacuation services to some of the most difficult places. 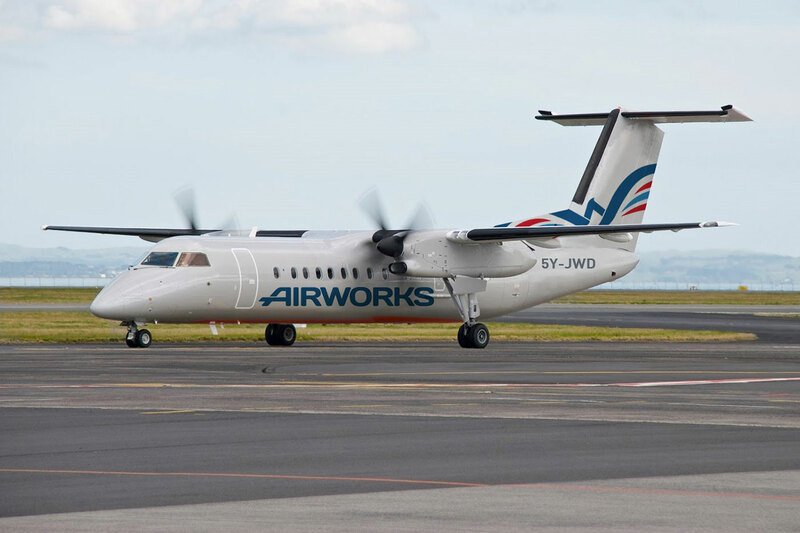 Airworks Kenya Limited operates under two main approvals: the Air Operator’s Certificate (AOC) and the Approved Maintenance Organization (AMO) licence. 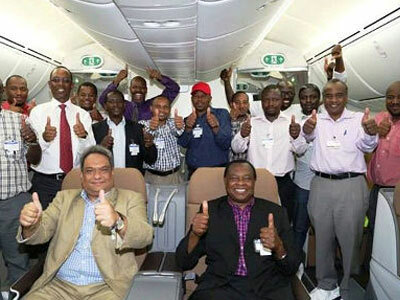 The AOC is a certificate issued to airlines by the Kenya Civil Aviation Authority (KCAA), which allows licensed operators to function as commercial airlines. It is granted upon ratification that the airline has the personnel, aircraft, systems and other supporting infrastructure to safely operate a commercial airline. The AMO is also issued by the CAA and allows licensed companies to conduct aircraft maintenance on third party aircraft after verification that licensees have the personnel and facilities needed to undertake aircraft maintenance. 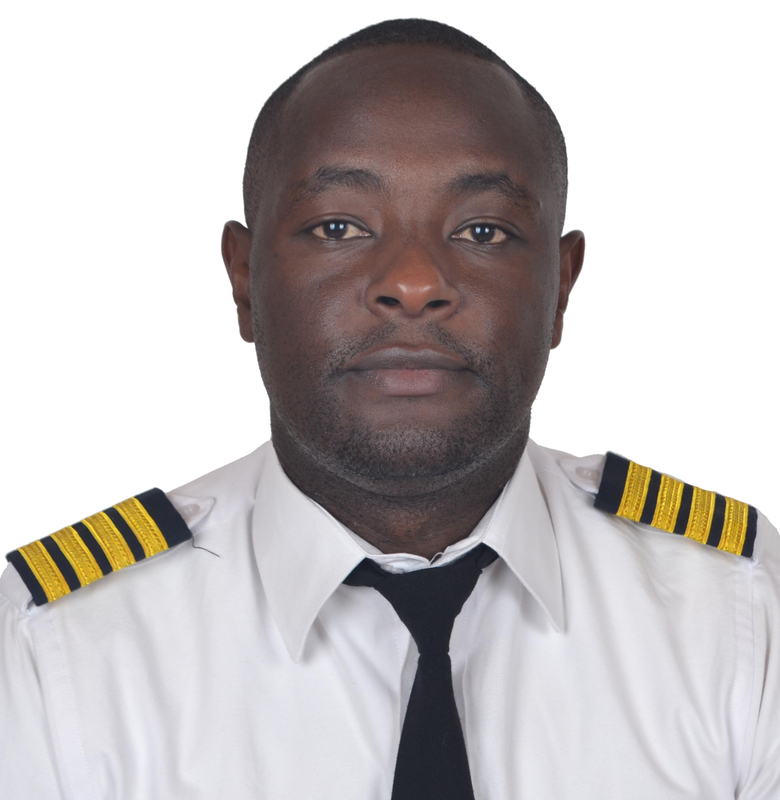 Air operator certificate issued by Kenya Civil Aviation Authority. Air Service License issued by Tanzania Civil Aviation Authority. Permit to operate issued by South Sudan Civil aviation Authority. 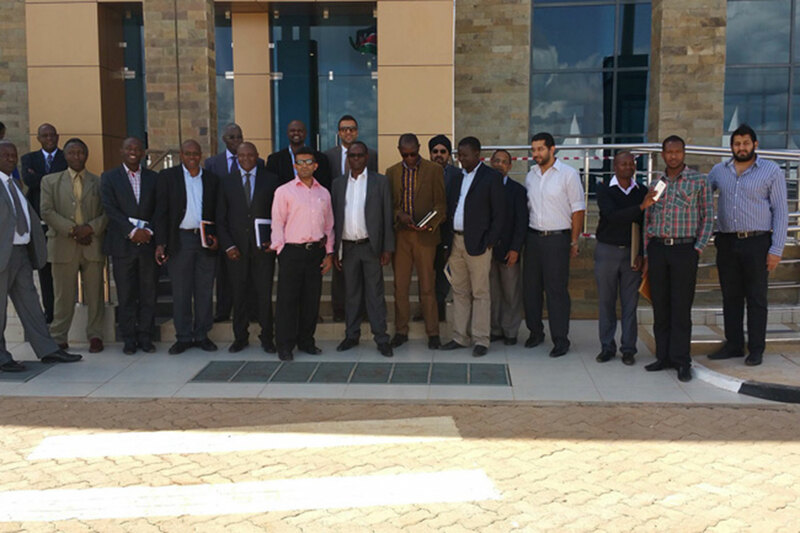 Approved Maintenance organisation approval issued by Kenya Civil Aviation Authority. 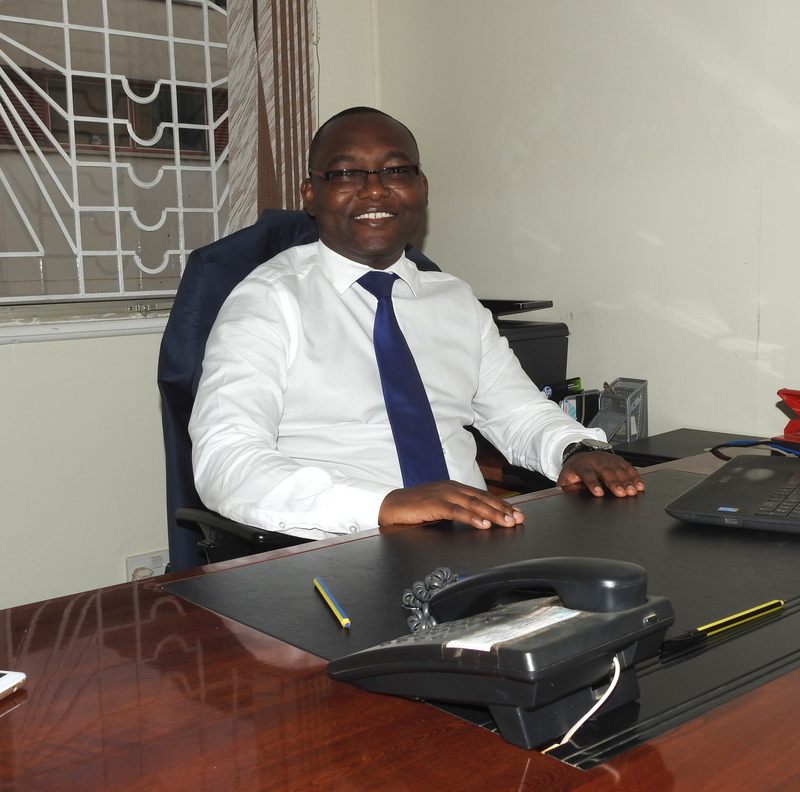 Approved Maintenance organisation approval issued by Tanzania Civil Aviation Authority. 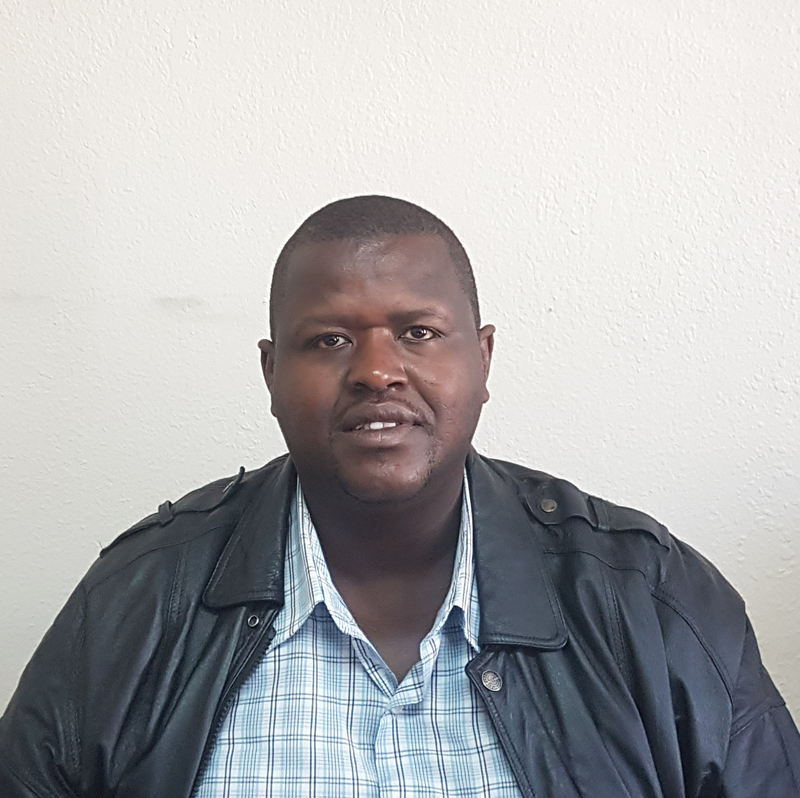 Approved Maintenance organisation approval issued by South Africa Civil Aviation Authority. Approved Maintenance organisation approval issued by Ethiopian Civil Aviation Authority. Our growth has been accelerated and sustained because over the years, we have managed to stay true to that which matters the most; which is putting customers at the heart of our business. Our ability to remain grounded in our core values is our main reason for the far we have ascended. To provide on-time and reliable services to our customers. To fully understand our customer needs and tailor cost-effective and flexible solutions. To uphold safety as a primary priority at all times..
A commitment to meeting and exceeding customer expectations, and build long-term and trusted relationships. 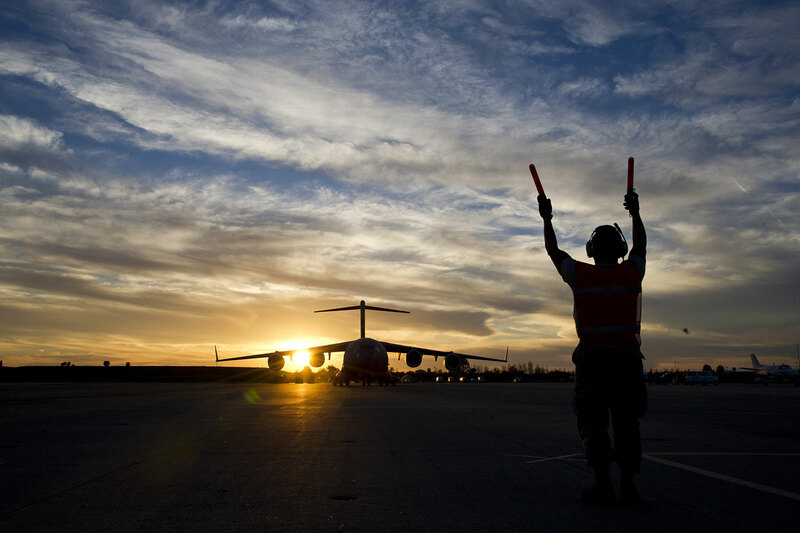 To select, engage and maintain flight crew of the highest caliber, and to value and reward their efforts accordingly. 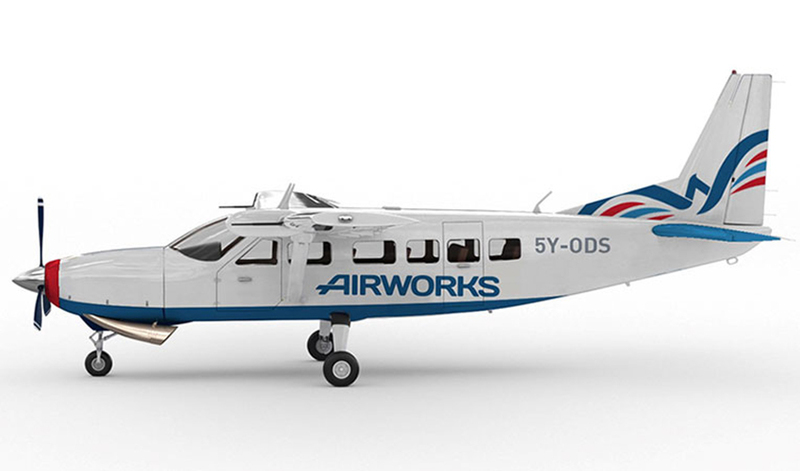 © 2017 Airworks (K) Limited. | All rights reserved.